This Gala will take place at Orford on Saturday 9th March 2019. The gala is Licensed to ASA Laws and ASA Technical Rules of Swimming and is licensed by the ASA at Level 4, Licence Number : 4NW191267. Warm up will be 5pm with a 5:30pm start. All Warriors members are invited to enter via the Active Passport page (previously the Active Swim Portal) Online Meet Entry (OME) system. The Entry system will go Live on Friday 1st February . The closing date for entries is midnight Sunday 24th February. Swimmers in Development Groups may only enter 25m races, whilst C squad can enter 25m & 50m races. Click HERE to go to the Active Passport login page. Please don`t forget to volunteer via the Active Passport or by clicking HERE, We need your support for this Badge Gala to run, without your help the gala will be cancelled. Guides for Warriors to enter and volunteer using the Active OME system are available HERE. Badge Gala 2 Entry form – This for information only. All swimmers must be entered using the OME system. For Swimmers to achieve Endeavour 1 or 2 Badges, 2 times must be achieved in each category. Times achieved at other galas can be used to obtain badges at Warriors Badge Galas by bringing your PB sheet as proof. 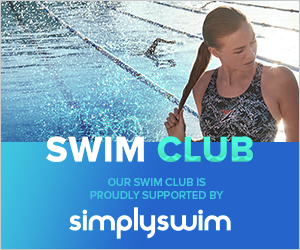 This can be obtained by clicking HERE to open the Individual Best Times web page and entering your Swim England number or searching by your surname. Please note on Badge cards the required number of times to be achieved at different lengths to get your target Badge. The draft programme for Badge Gala 2 is below. Please can you check all entries and squad/groups are correct asap. The list of volunteers and officials are below, can you please check and confirm your availability asap to Marie.